If the parking spot is too small, why not make it bigger? Why is that woman wearing a tie? That had to be set up! wooow now that was totally insane, i agree with #3 it had to be hahahaha, the craziest thing on earth. nah I see that here in NYC all the time. 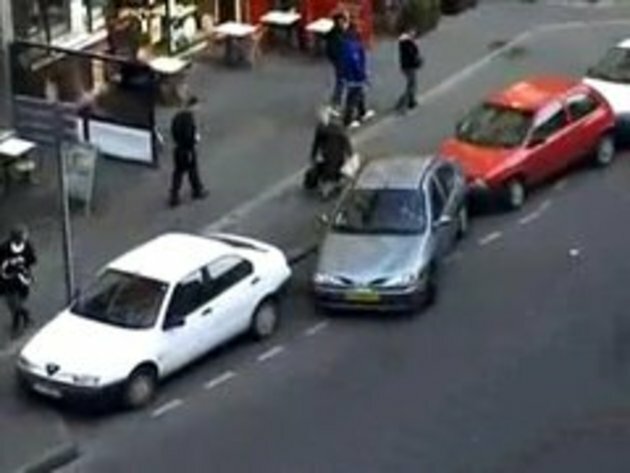 The guy is like, "Did I hit that car...oh well" and walks away! False sense of self being "more important" then others. He thinks he's a "important" Business man you see! and that the world owe's him a "car spot"
Idiots like this are the lowest in human evolution. im pretty sure thats france. thats how they park over there seriously, thats why their bumpers arent colour coded. Hectic day at the office, eh?